JuliaBobbin: Cherry Blossom Dress + Give Away Winners! 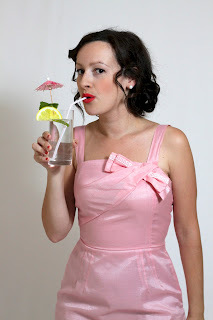 Cherry Blossom Dress + Give Away Winners! It's officially Autumn in Australia and the warmer fabrics in my fabric stash are starting to come out of their hibernation. It was just the other day when I heard a sleepy, muffled voice coming from the fabric cupboard saying "Gee, what does a wool faille have to do around here to get made into something". What I am looking forward to for the upcoming cooler season is sewing with more winter fabrics like wool faille and heavier cottons. What I'm not looking forward to for the upcoming cooler season? Being cold. 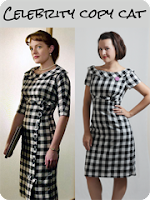 So I'm taking inspiration from Washington D.C. for my latest, admittedly quirky creation. There in D.C. the weather was warm and cheery. On my recent visit to Washington D.C. I was not only in awe of the marvellous fabric that I purchased, but of the beautiful cherry blossom which was in full bloom. 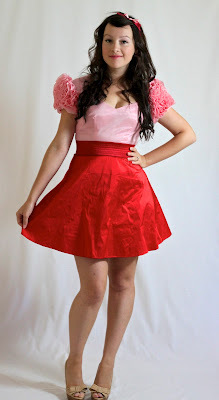 There are two winners today from two different giveaways, the lipstick red wool crepe fabric and the $25 gift voucher for Patterns From the Past an online store for vintage sewing patterns. Congratulations ladies! I will be in contact with you shortly with details! Now back to the dress! I made the sleeves resemble blossom in honour of the beautiful cherry blossom we saw in D.C. 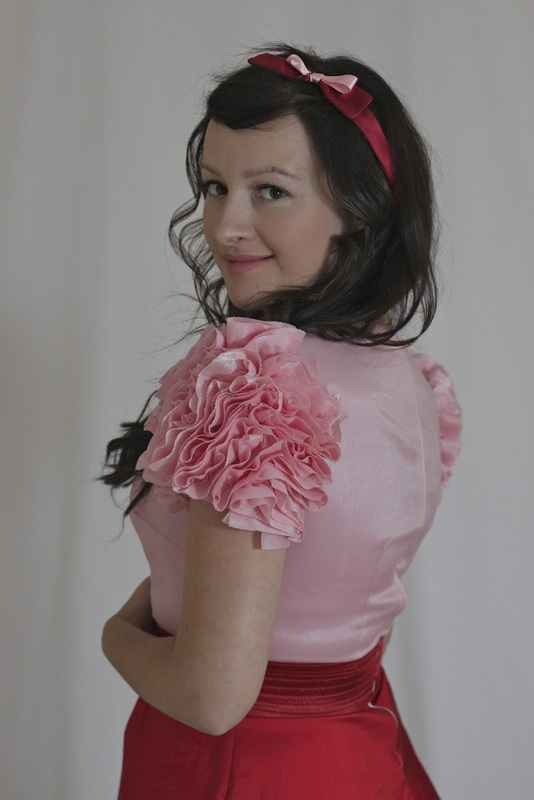 I made the sleeves the same as my A rose is a rose, is a rose, is a rose dress which you can see here. Once you know how to make them it's so easy, and no hand stitching! True story! 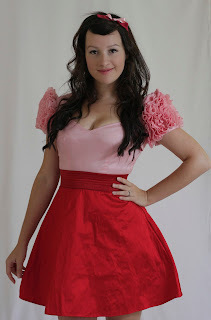 I used silk dupion for the skirt, and for the bodice and sleeves I used pink cotton/lame blend which was left over from my Cotton Candy dress. 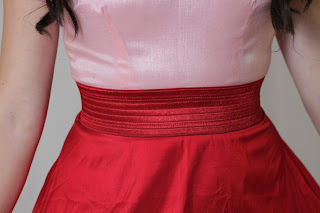 I once again employed the use of an elastic band for the waist which accentuates the smallness of the middle against the hips and encourages that vintage silhouette. 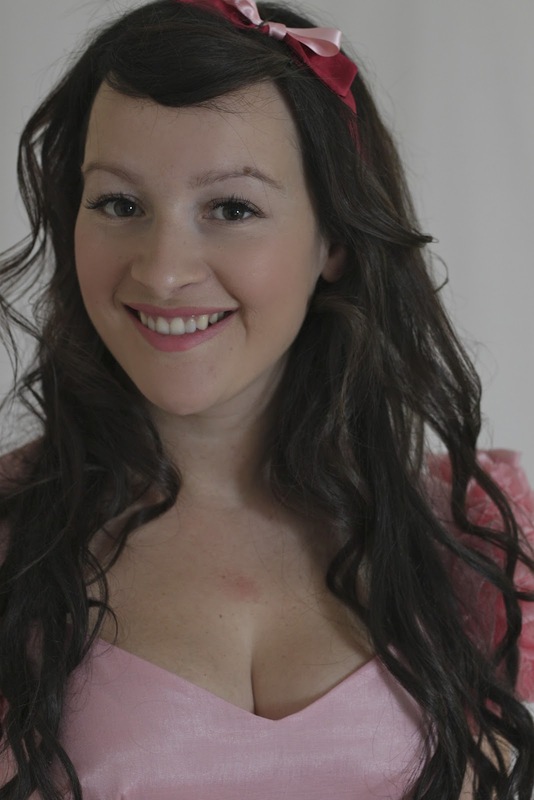 I clashed the pink with the red which gives quite a quirky look which I'm sure is not for some, but heck, I like it! 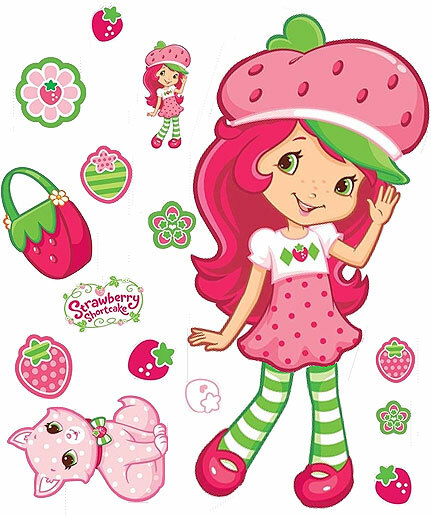 It also reminds me of the cartoon character Strawberry Shortcake, which makes me happy in an inexplicable way. Every one should have a strawberry hat. Seriously. 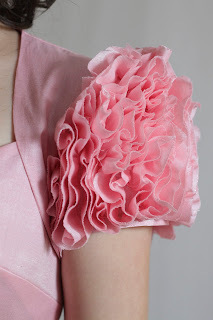 I love how the ruffles on the sleeves resemble flowers. 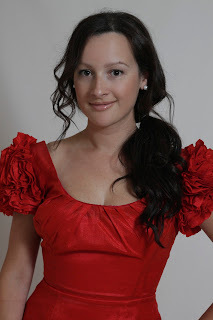 This dress will be a good pick-me-up when it really starts getting cold here in Melbourne. For the bodice of this dress I used Vogue pattern 8280, the galaxy dress! See my previous dress I made using the galaxy dress pattern here. 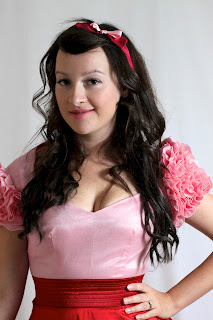 I used view B with the sweet heart shaped neckline. I substituted my own drafted sleeves for the base of the rose sleeves. The skirt I used a simple 3/4 circle skirt and cut it on the bias for extra flare. This helped the skirt kick out at the hem. This dress is pretty unique, in fact so 'unique' that I'll probably never have the guts to wear it out in public. But I do love how pretty and girly it looks and I'm pleased with how it turned out. 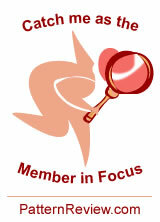 On a side note, I was very happy to be featured in the Pattern Review blog as the member in Focus! 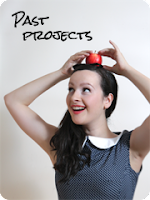 If you're curious you can check out my interview here. Thanks Pattern Review! une robe de poupée, difficile à porter dans la rue mais si jolie. You HAVE to wear that out in public! It's drop-dead gorgeous! My goodness, you are a talented lady! It's fantastic, and if anyone (on either hemisphere) could pull it off, it's you! oh I love it! It is begging to be taken out on the town for a spin!! You look gorgeous in it - so much fun! I'm so thankful to have won the giveaway!!! This is the first time I've ever won one. :) Thank you so much for such a lovely giveaway! 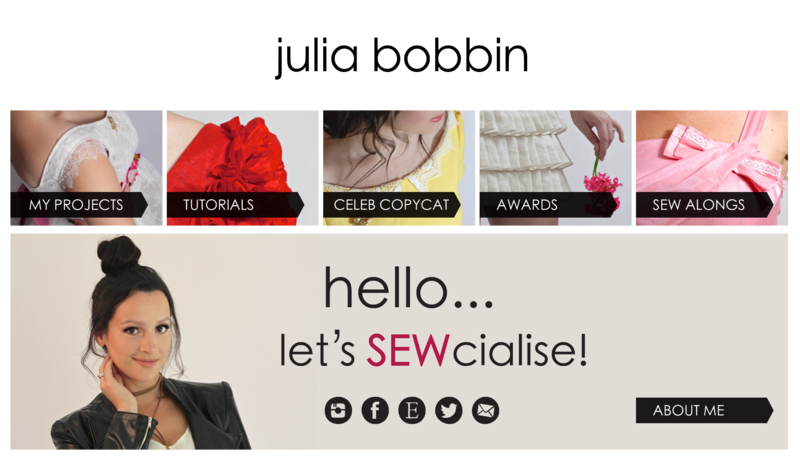 I don't blog about sewing (or anything anymore, really), but I'll be sure to send you some pictures of whatever lovely thing I make with that amazing fabric! Love the colour combination! I will buy the dress off you if you never wear it in public! I have a sewing question for you... love all of the vintage inspired dresses that you make, and I am in the process of learning to sew. 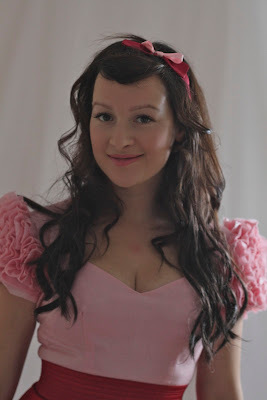 I am currently breast feeding, what would you suggest on how to alter your style of necklines so as I can still wear vintage style dresses? Oh My God. I just clicked into my blog, saw you had done a new post and thought sleepily (00.37 here), I will check out this cherry blossom post before bed, did not even reference the giveaway. Saw my name in bold letters and thought hey what's this? I cannot believe I have won a giveaway. Am going to bed a happy gal. You have inspired me to finish my bag (see blog "bag of horrors" lol) lost my sewing mojo but am now inspired to the hilt . Yeeee haaaa. IT looks wonderful on you Julia - it would be a great party dress. 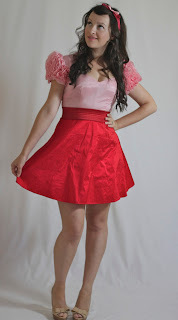 I think some shades of pink and red would be horrible, but this pink and red is very pretty. You look great! I love those sleeves! Adorable! I would totally wear this in public but then 'm not your typical gal. You look smashing and sweet. Wear it, wear it, wear it!!!! You look far too pretty in that dress to let is sadly sit in a closet! You know what, I was watching New Girl the other day, and she wore an outfit that had nearly the same colours. I thought "wow, that's an unexpectedly amazing colour combo". Yours is too! Wear it, most definitely! Love the sleeves on the dress and the colours are beautiful! Hi Julia, Those colours are gorgeous and the sleeves are divine. 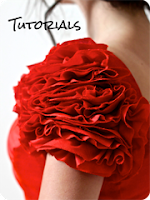 I just watched your rose sleeves tutorial - you did a great job with explaining everything. Not sure I am ready to try the sleeves yet. Hope you had a nice break for Easter - on Good Friday I made myself a skirt in 30 minutes & it looks pretty good! come on now, you feisty flower. you have to wear this out. i think zo's garden party idea is perfect. Jeeeze Looouise...that is one cute dress. I love the colours, the fabric, the fit and the sleeves. You go girl! Yes! You must find (or invent) an occasion for this lovely. 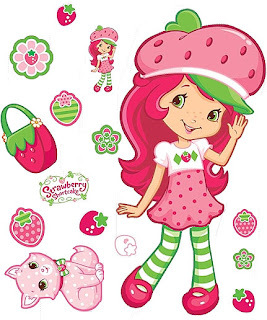 Even if it means you have to produce, direct, and star in the live action version of Strawberry Shortcake: Aussie Edition ;-). So so lovely! The sleeves are absolutely the best! I hope you find somewhere to wear this to. It would be a shame if it sat in your closet for the rest of it's life. It's too pretty to be in there! 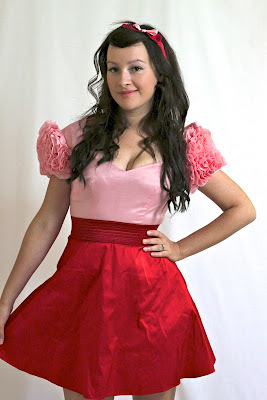 it would seem you are not the only person clashing red with pink - i reckon you should definitely wear your stunner of a dress and have no shame, it's beautiful. I love your Rose Sleeves and I covet them so much, but having discovered I am an inverted triangle shape I despair of ever wearing them. They look beautiful on your dress!! !